Oslo/Paris, 6 June 2017: Marlink’s Sealink VSAT is providing an unprecedented over 300 Mbps bandwidth for super-fast maritime broadband during the maiden voyage of MSC Cruises’ first next-generation new mega-ship, MSC Meraviglia. The record breaking bandwidth will meet a predicted spike in demand for this week’s milestone voyage, as guests on the most sophisticated ‘floating town’ in the world share their first-hand experiences and memories on Social Media. The temporary 300 Mbps is being provided to MSC Cruises in another industry first in conjunction with the coming into service of the Company’s newest flagship MSC Meraviglia. It is a further reflection of MSC Cruises’ focus on cutting-edge innovation across the board. Marlink provides connectivity for MSC Cruises’ entire fleet in an optimised, dedicated ‘cloud of bandwidth’, which facilitates high flexibility for i.e., seasonal usage patterns. Sealink VSAT ensures bandwidth is always available for guests to experience fast, always available access to the Internet and Social Media. While the record-breaking 300 Mbps is required to ensure that the extra data load of a star-studded, media-packed maiden voyage along the Atlantic coast and into the Mediterranean is more than catered for, the on-going Sealink VSAT service for MSC Meraviglia will continuously deliver an unmatched connectivity experience for over 4500 guests. Marlink has worked closely with all partners to ensure MSC Meraviglia’s guests enjoy the best maritime broadband possible. Connectivity will be delivered on the Intelsat EpicNG High Throughput Satellite (HTS) network and enabled on board by cutting edge iDirect 9350 modems. 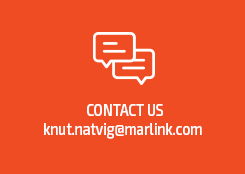 By combining its industry leading satellite capacity planning and access to bandwidth on all major satellite constellations with engineering expertise and an extensive, technology agnostic portfolio of multi-band services and solutions, Marlink is able to provide high bandwidth and flexibility for cruise customers through the global multi-band Sealink network. “Essentially floating towns, cruise ships are both technologically demanding and bandwidth hungry, so we have taken a pioneering and collaborative approach to meeting the very specific bandwidth needs of this sector. MSC Meraviglia’s maiden voyage is an ideal platform to demonstrate the possibilities of the Sealink network and new HTS services like Intelsat EpicNG, while the regular on-going Sealink service will support guest satisfaction on connectivity across the fleet,” said Tore Morten Olsen, President Maritime, Marlink. Marlink has provided Sealink VSAT services to MSC Cruises since 2004 and continues to develop its services in line with the changing requirements of cruise companies and guests. In June 2016, MSC Cruises and Marlink enhanced guest connectivity across the fleet with state-of-the-art technology, including use of the Intelsat EpicNG satellites, deployed to meet the growing demand from guests for fast Social Media and web access, in addition to improving work and streaming services.